Raymond Domenech says Paul Le Guen or Alain Giresse could replace him as coach of France's national soccer team after the World Cup. 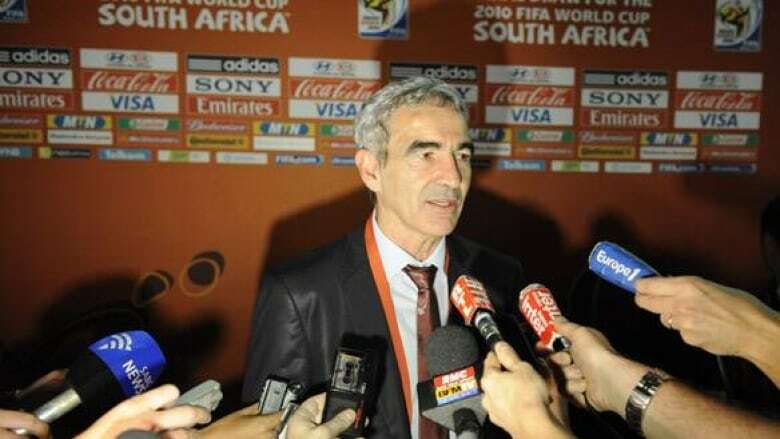 After six years in charge, Domenech will step down following the World Cup in South Africa later this year. Although Bordeaux coach Laurent Blanc and Marseille's Didier Deschamps are the favourites, Domenech thinks his successor might not be the selection everyone expects. "The choice should not be limited to one or two people," the 58-year-old Domenech was quoted as saying Wednesday on the website of sports daily L'Équipe. "Maybe Paul Le Guen is available, [or] Alain Giresse. There are some coaches who have succeeded with other countries." The 45-year-old Le Guen coached Cameroon at the African Cup of Nations last month, and Giresse led Gabon at that tournament. Both are former France midfielders, with the 57-year-old Giresse having put in a stellar performance at the 1982 World Cup. French football federation head Jean-Pierre Escalettes wants to announce Domenech's successor before the June 11-July 11 World Cup. Former Fulham boss Jean Tigana, Domenech's current assistant coach, Alain Boghossian, and former France midfielder Luis Fernandez are also possible contenders. Domenech announces his 23-man World Cup squad on May 2. France, the 1998 World Cup winner and runner-up to Italy in 2006, plays Uruguay, Mexico and South Africa in Group A. France opens against Uruguay in Cape Town on June 11.